After Sam's father is hospitalised, she has to move from New York to Salem with her stepmother, Vivian. Unfortunately, Sam is related to Cotton Mather, one of the men responsible for the Salem Witch Trials, and to say she feels unwelcome in Salem is an understatement... She is particularly unnerved by The Descendants, a mysterious and tight-knit group of girls related to t After Sam's father is hospitalised, she has to move from New York to Salem with her stepmother, Vivian. 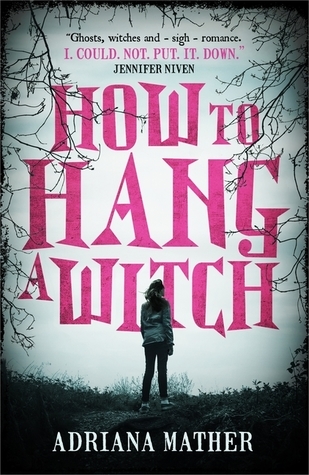 Unfortunately, Sam is related to Cotton Mather, one of the men responsible for the Salem Witch Trials, and to say she feels unwelcome in Salem is an understatement... She is particularly unnerved by The Descendants, a mysterious and tight-knit group of girls related to those persecuted in the Trials. At the same time, she must deal with Elijah, the handsome but angry ghost who has appeared in her house, and her new neighbour Jaxon only complicates things further.